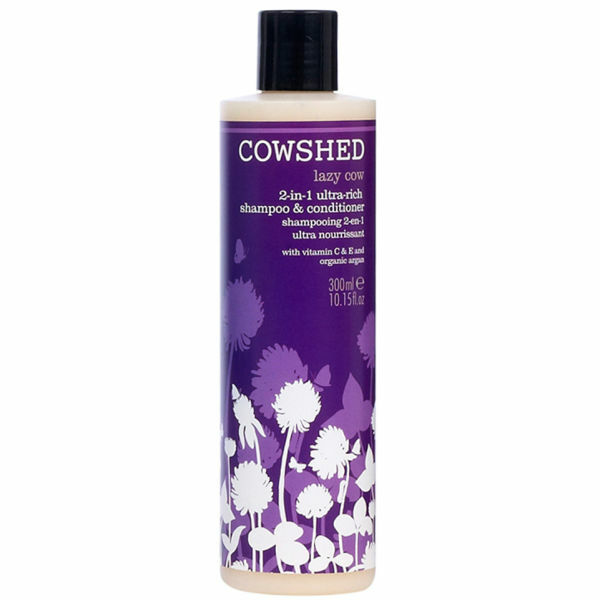 Cowshed Lazy Cow 2 in 1 Ultra Rich Shampoo and Conditioner cleanses and nourishes your hair in one simple step, leaving it revitalised and lustrous. Formulated with vitamins C and E, as well as organic argan, it will intensively hydrate your locks whilst removing dirt and impurities. It's the ultimate multi-tasker. - L.M.